One of New Zealand’s oldest jockey clubs is aiming to clear debt and get back on track through the pending sale of land zoned for a residential housing subdivision. Auckland’s Avondale Jockey Club, which inaugurated racing at Avondale in 1890, suspended its racing calendar in 2010 to restructure its operation and finances. 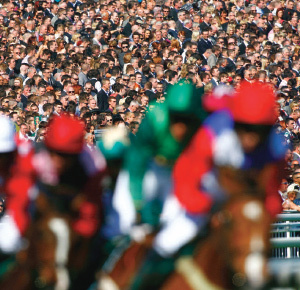 It resumed hosting race meetings at the track in October 2012 and now has a full schedule of dates in the annual racing calendar. Meantime, its grounds have continued to accommodate the hugely popular Avondale Sunday Market, while the infield grassed area is used for rugby, soccer and cricket games and tournaments throughout the year. In 1987, Avondale Jockey Club became the first thoroughbred racing club in the Southern Hemisphere to launch night racing under floodlights. The lighting towers and construction of an additional stand cost the club $8 million, but the venture was not as successful as hoped and the club has experienced straightened circumstances ever since. However, it recently received Auckland Council planning consent for the subdivision of 9719 square metres of land adjacent to the race track – with access from Ash Street via Sandy Lane. The land is zoned Residential 5 under the Operative Auckland City Council District Plan, and Mixed Housing Suburban under the council’s Proposed Unitary Plan. An indicative concept plan drafted for the elongated oval-shaped section on an undulating topography shows the property has the capacity to contain a minimum of 28 terraced and/or semi-detached homes. Club president Graham Wakefield said the organisation was confident the sale of the site would not only clear its $2.75 million debt, but would also fund a substantial “war chest” for upgrading building infrastructure at the track and to make racing at the track sustainable over the long-term. “We chose to place the land on the market now for three principal reasons. Firstly, to utilise proceeds from the sale to pay off our existing debt. Secondly, to capitalise on the high value of Auckland land prices. And thirdly, as we have now completed the subdivision of the land to sever the parcel from our racetrack venue, we wanted to initiate the process as quickly as possible to achieve certainty for our future,” he said. The currently bush-clad site – which looks down the home stretch of Avondale race track – is being marketed by real estate firm Bayleys. Salesman Paul Dixon said the site was bounded by existing residential dwellings, together with an esplanade reserve adjoining the Whau Inlet, and would have its entrance through an extension of Sandy Lane. “The property comes onto the market at the perfect time – with the growing chorus of calls for Auckland City Council to encourage large block landholders to open up their sites for housing development,” Dixon said. “City-fringe suburban intensification is occurring in parallel with the city’s greater population growth. Dixon said the club had also made an application to the council for the land to be declared a Special Housing Area under the accord between Auckland Council and the Government. A decision on that application is expected in April or May this year. “Designation of the land as a Special Housing Area would allow immediate development of the site under the Proposed Unitary Plan zoning,” he said. Tenders for the sale of the development site close on May 15.